Delores Irene Anderson, 82, Coleraine, died Saturday, January 12, 2019 in St. Mary’s Hospital, Duluth. She was diagnosed with Alzheimer’s in 2015. Born June 30, 1936 in Frazee, MN, she was the daughter of John and Elizabeth Wohlsdorf. Delores has been a Bovey and Coleraine resident since 1952. Delores and Curtis Anderson were married on April 18, 1959 in Frazee, MN. Delores worked at the Midway Café from 1952-1967. She was a “Lunch Lady” for the Greenway school district serving Van Dyke Elementary, Connor-Jasper Middle and Greenway High School from 1969 until her retirement in 2006, with a break in service from 1973-1979. 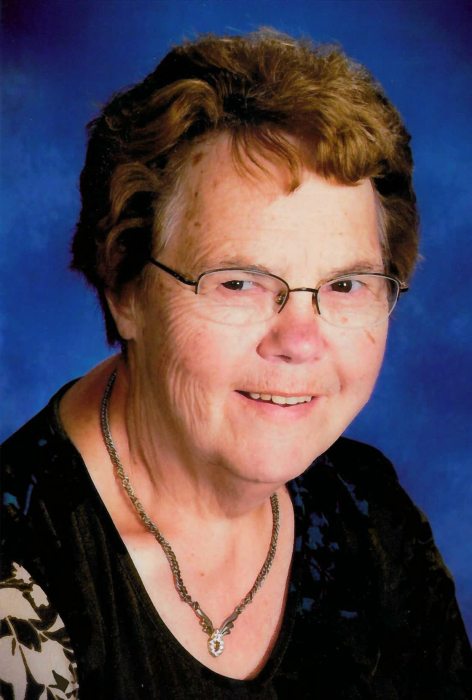 She was a member of the Bethel-Trinity Lutheran Church of Bovey. Delores loved to cook and clean and take care of others. She loved to play cards & dice games. She was a Minnesota Twins, Wild and Viking fan. And she walked everywhere. She was preceded in death by her parents and her husband, Curtis in 2011. She will be greatly missed by her children Sandra (Ray) Williams of Duluth and Mark (Becky) Anderson of Hibbing, Grandsons, Jake (Marisa) Williams of Hermantown, Jared Williams of Duluth, Granddaughter, Colie Tronnes of Hibbing; Great Grandson, Weston Williams of Hermantown; her sisters, Julie (Dean) Jenkins of Rice, MN, Viola Retz of Audubon, MN, Mable Manning of Frazee, MN, Darlene Lester of Sauk Center, MN, Bev (Gene) Piechowski of Avon, MN and many nieces and nephews. The family would like to thank the staff at Aspen Grove Senior Living in Chisholm for the care and attention given to Delores. Special thanks to Dr. Drotar, the ICU & Palliative staff at St. Mary’s Medical Center in Duluth and Pastor Mark Wagner for her end of life care.